How Many of Jacob's Descendants Moved to Egypt? Rarely does a scientific program spark interest in the religious community at large. NOVA, a television series noted more for winning awards than stirring controversy, has succeeded in igniting a great deal of discussion about the early origins of Israel and the Hebrew Bible with its landmark, two-hour documentary titled The Bible’s Buried Secrets. Originally airing last year, the documentary covers some of the most pressing issues in biblical archaeology, often coming to surprising and sometimes confusing conclusions. Producer Paula Apsell said the program, which was in production for more than four years, “represents a mainstream academic perspective on the Hebrew Bible” (“A Q&A With…,” 2008). The majority of modern archaeologists do not believe the Bible is historically accurate, with many arguing that substantial portions of Scripture are legend or myth. This attitude is reflected by Duke University professor Carol Meyers, who said, “most of us start out as naïve Bible readers and take it at face value, not understanding enough or anything at all about how literature was produced in the ancient world where there was no consciousness about the construction of history as such” (NOVA: The Bible’s..., 2008). Since modern historiography did not exist in antiquity, the prevailing attitude of some is that ancient documents must be approached with a high level of skepticism and even cynicism. This is especially true for documents that are religious in nature. In looking for the “intersection between science and Scripture,” the documentary makes some surprising claims. Unlike sensationalistic documentaries of dubious value, The Bible’s Buried Secrets affirms many biblical events and persons, although it disputes others. Most Christians today may react with surprise upon hearing the assertion that there was no Exodus or Conquest and that the early Israelites were really native Canaanites. During the last half of the 20th century, mainstream scholarship increasingly adopted the view that ancient Israel was nothing more than Canaanites who developed a culture distinct from the surrounding environment. While documents dating to the period of the Divided Monarchy clearly show a distinct Northern and Southern Kingdom, the earliest period of Israelite history is an academic battlefield. The (foreign) chieftains lay prostrate, saying, “Peace.” Not one lifts his head among the Nine Bows. Libya is captured, while Hatti is pacified. Canaan is plundered, Ashkelon is carried off, and Gezer is captured. Yenoam is made into non-existence; Israel is wasted, its seed is not; and Hurru is become a widow because of Egypt. All lands united themselves in peace. Those who went about are subdued by the king of Upper and Lower Egypt…Merneptah (Hoffmeier, 2000, 2:41). Dating to circa 1209-1208 B.C., the stele commemorates a military campaign into Canaan at a time when Egypt was still one of strongest military powers in the ancient Near East. With dramatic flair typical of Near Eastern kings, Merneptah boasts about crushing his enemies in Palestine—including Israel. Other political powers in Canaan are mentioned alongside Israel, further suggesting that it, too, is a recognizable entity. If Israel is large enough to be ranked among other established nations, it must have had a sizeable population. There would be little glory for the pharaoh to boast about defeating an obscure group of semi-nomads. Is Israel nothing more than a group of Canaanites? The manner in which the name Israel is written is worth noting. In the inscription, a hieroglyph known as a throw-stick (used to signify foreign peoples) follows the name of Israel. This sign is followed in turn by a people determinative, a hieroglyph depicting a man and woman sitting down with three vertical strokes (indicating plurality) beneath them. This sign is used to reference a tribal or nomadic people lacking a centralized government. Combined together, these signs paint a portrait that is remarkably similar to the depiction of Israel in the books of Exodus through Judges: a foreign, nomadic, or tribally based people with no king. The Bible’s Buried Secrets posits that a small group of Canaanite slaves may have escaped from Egypt, providing the kernel for something of a “big fish” story developed into a massive exodus by later scribes. Much of mainstream scholarship would admit this is possible. However, the evidence militates against this idea. Roughly 300 small settlements appear in the Judean highlands in the 12th-13th centuries B.C., dramatically increasing the population of the area. The documentary argues that a collapse of Canaanite city-states left a large number of “have-nots” to strike out on their own, forging a new identity. According to this view, the settlements that many archaeologists label as “Israelite” or “proto-Israelite” are simply nothing more than new Canaanite settlements. There is a great deal of difficulty harmonizing this view with the evidence. As food, pigs were popular in the Philistine-dominated area in southwest Canaan, were acceptable in the Transjordan…but were seemingly taboo in highland Canaan in the particular region that…is the habitat of earliest Israel in the narratives of Joshua/Judges. The [dietary] practices observed there…do indeed correspond to the limits set by the dietary laws of Lev. 11 (2003, p. 230, bracketed item added). This restriction on pork is one of the most famous in the Bible (Leviticus 11:1-47; Deuteronomy 14:3-20), but it also serves as an important distinction between the population of Israelite settlements and the surrounding Canaanite culture. While the documentary argues that the Israelites were originally native Canaanites who developed a distinct ethnic identity over an extended period of time, the lack of pig bones in the archaeological record is a sharp break with the surrounding culture. One must explain why these supposed Canaanites stopped eating pork suddenly over a rather broad geographical area. Avraham Faust of Bar-Ilan University explained in an interview: “The Israelites did not like the Canaanite system, and they defined themselves in contrast to that system” (NOVA: The Bible’s..., 2008). But this assertion goes beyond the archaeological record. It imputes motives to why the Israelites acted as they did, which cannot be located archaeologically and is only one possible interpretation of the evidence. Faust states that the Israelites had an ideology of simplicity, but this observation does not give sufficient cause for why a group of displaced Canaanites developed an identity that was distinct from their neighbors. The Bible explains the evidence for the differences between Israel and Canaan just as easily, and more reasonably. The same evidence used to support a revolution of the Canaanite “have-nots” could apply equally to a nomadic collection of 12 ethnically and religiously distinct tribes. In contrast to other ethnic groups, Israelite settlements had no temples, palaces, elite residences, or monumental architecture. There is little attempt at artwork—which is consistent with the portrait of a nomadic people, who would not have had time for architectural and artistic pursuits. This lack of artistry matches the description of Israel in the Pentateuch and early historical books. Archaeologists and anthropologists have developed a few simple, testable “rules” for recognizing when we are dealing with the immigration of new peoples into an area. (1) The new society and culture must have characteristics that are different and distinguishable, usually marked by observable discontinuities in material culture. (2) The “homeland” of the immigrant group must be known, and its culture well understood there. (3) The route by which the postulated immigration took place must be traceable, so that the actual process may be reconstructed. The infiltration/immigration model for early Israel satisfied none of these requirements (2003, p. 73). While these “rules” are often presented as irrefutable proof against the reliability of the Bible, at least one other group in ancient history left behind little evidence of foreign occupation. Assyriologist Alan Millard points out that circa 2000 B.C. a mass movement of Amorites flooded into the Babylonian empire, taking over a number of cities and establishing their own dynasties (2008, p. 167). This is evident from a large body of written material from the period. Even after this influx of Amorites, the material culture gives no appreciable sign of change. Millard argues that the same thing could have happened with Israel. Since the Israelites were commanded to take over the material culture of Canaan (cf. Deuteronomy 6:10-11), it appears that a nearly seamless transition from the Canaanite culture to an Israelite one is easily explained. One consideration raised by archaeologists is the introduction of the so-called “four-room house.” This particular architectural feature is so peculiar to ancient Israel that it is called the “Israelite house.” This structure is a typical home featuring a four-room floor plan. Manfred Bietak, the Austrian archaeologist who excavates at Tel el-Daba` (the ancient city of Avaris) notes that he has excavated houses bearing this very floor plan—in Egypt (2003, 29/5:41-49,82-83). If the story of the Exodus is mere fiction, then why is a structure peculiar to ancient Israel, that emerges in Canaan shortly after the time of the Exodus, also found in Egypt in the same region said to have been occupied by the Israelites in the book of Exodus? DAVID AND SOLOMON: REAL MEN OR ROYAL MYTHS? Dever sums up the modern approach some scholars take concerning David: “Now, some scholars today have argued that there was no such thing as a united monarchy. It’s a later biblical construct, and, particularly, a construct of modern scholarship. In short, there was no David. As one of the biblical revisionists has said, ‘David is no more historical than King Arthur.’” Although Dever does not personally advocate this position, if David and his kingdom were no more historical than the fabled English king and his court at Camelot, one would expect no evidence of his existence. Yet, the program delves into an important discovery that mentions David by name. In 1993, Gila Cook discovered a stone fragment with writing on it while working at the city of Tel Dan, whose excavation was headed by the late Israeli archaeologist Avraham Biran. Known as the Tel Dan Stele, the documentary dramatizes its discovery, but no drama could adequately capture the monumental importance of the find. Written in Aramaic, the fragment reads: “I slew mighty kings who harnessed thousands of chariots and thousands of horsemen. I killed the king of the House of David” (Millard, 2000, 2:162). The fragment alludes to no less than eight biblical kings. Although some damaged portions must be reconstructed, the stele almost certainly refers to Hazael’s defeat of Joram and Ahaziah at Ramoth Gilead (2 Kings 8:28-29). The inscription has generated controversy between scholars who believe that David existed and skeptics who would consign the Hebrew king to the realm of myth. Despite several attempts to provide alternate translations, the simplest way to translate it is as the “House of David.” An attempt by historian Philip Davies to translate the line as the “house of uncle” or “house of kettle” was even lampooned in an issue of Biblical Archaeology Review (Freedman and Geoghegan, 1995, 21:02). While the documentary discusses the Tel Dan Stele at length, it leaves out another source mentioning the famed Israelite monarch. The Mesha Stele, also called the Moabite Stone, mentions the “house of David” (it also mentions the “house of Yahweh”). Found in 1868 in Dhiban, Jordan, this monument commemorates the successful overthrow of Israelite power in Moab during the reign of Mesha (2 Kings 3:4-9). In the stele, Mesha mentions that for 40 years Moab had been under the thumb of Israel, beginning during the reign of the Israelite king Omri and continuing through the reign of Ahab. Moab gained its independence from the Northern Kingdom in battle, during which Mesha ritually sacrificed his own son in full view of the Israelite army. The Moabite Stone and Tel Dan Inscription independently reflect a contemporary practice of using the formula “The House of X” when referencing other national powers. This can be seen in Assyrian sources which refer to the Northern Kingdom as the “house of Omri” (Younger, 2000, 2:270), a designation which the Assyrians used in reference to Israel for over a century. Similarly, the reference to the house of David should be interpreted as referring to the actual monarch himself. While The Bible’s Buried Secrets handles the issue of the United Kingdom in a fairly even-handed way, there are some difficulties with the material presented. The program asserts that there is no writing or monumental building from the period and concludes, “[S]uddenly the kingdom of David and Solomon is less glorious than the Bible describes…David [is] a petty warlord ruling over a chiefdom, and his royal capital, Jerusalem, nothing more than a cow town.” Israel Finkelstein, an accomplished Israeli archaeologist who is somewhat notorious for his controversial dating methods, argues, “David and Solomon did not rule over a big territory. It was a small chiefdom, if you wish, with just a few settlements, very poor, the population was limited, there was no manpower for big conquest, and so on and so forth” (NOVA: The Bible’s..., 2008). Nevertheless, evidence suggests that the United Monarchy was considerable. The Amarna letters of the 14th century B.C., largely composed of correspondence between the royal court under Pharaoh Akhenaten and minor rulers in Canaan, indicate that Jerusalem (called Urusallim) is already a significant city. Other cities, such as Hazor, Megiddo, and Gezer, have massive, six-chambered city gates bearing the same design, which Israeli archaeologist Amnon Ben-Tor takes as an indication that all three were built during the reign of Solomon (cf. 1 Kings 9:15). In an interview, he explained: “Here we have a wonderful connection of the biblical passages as it shows up in archaeology” (NOVA: The Bible’s..., 2008). In order to determine the wealth of the kingdom, one must again turn to Egyptian sources. In circa 925, the Egyptian pharaoh Shoshenq (943-922 B.C.) invaded Palestine (1 Kings 14:25-26). His invasion is clear from a broken portion of a victory stele found at the city of Megiddo. The full name of Shoshenq (the biblical Shishak) is clearly visible on one fragment of the stele. According to the Bible, king Rehoboam of Judah bribed the invading Egyptian forces with tribute taken from the Temple and palace treasuries (1 Kings 14:25-26). Apparently satisfied, Sheshonq turned instead to other prime targets in Palestine. Shoshenq’s invasion is memorialized on the Bubastis Portal at the Karnak Temple in Thebes, where he is portrayed along with scores of cartouches bearing the names of places he looted—115 cartouches that still exist, apart from those that have been worn away over the passage of time. Shoshenq died a year or two after the invasion. His son, Osorkon I (922-887 B.C. ), ascended the Egyptian throne and donated some of the plunder to the Egyptian temples. It was customary for conquering kings to donate a portion of the loot to the temples, but the size of Osorkon’s donation sets it apart from all others. His is the single largest donation in ancient Egyptian history, comprising 383 tons of gold and silver. The question left for the skeptic is this: how did a loose confederation of poor, numerically inferior, semi-nomadic have-nots manage to stockpile such wealth? The evidence clearly argues for a kingdom that is small (in comparison to the larger empires of the Near East), but wealthy—the very portrait found in the pages of Scripture. The Bible’s Buried Secrets argues that monotheistic religion did not simply burst upon the scene, but was rather the product of a long evolution punctuated by a devastating exile that drove the Israelites to recognize one God. According to this view, the Israelites had to find a way to explain this catastrophic event, which they believed resulted from their own failure. The program states the commonly held idea that monotheism was purely a late Israelite invention. The proof for this claim, however, is not so convincing. It is true that an important objection to monotheism in the ancient world was the rejection of the idea that one god could manage the Universe single-handedly. The ancients believed it took hundreds, if not thousands, of gods to govern the created order—from objects as large as the Sun to much smaller items such as tools and farm implements. Religion in the ancient world was often an example of micromanagement at its finest. The documentary reveals that thousands of small figurines depicting a female goddess have been found in Israel. While there is widespread evidence of a female consort being worshipped in addition to Yahweh, the documentary elevates the archaeological evidence over the biblical text. It is true that the discoveries of paganism suggest that many Israelites accepted polytheism in direct violation of God’s commands, but it hardly proves that they had no concept of monotheism. This is especially true when one considers that no physical representations of Yahweh have ever been uncovered, suggesting that the Israelites had some motivation for departing from the otherwise universal practice of depicting the gods. This departure from convention is easily explained by Scripture (Exodus 20:4; Deuteronomy 5:8-9; cf. Exodus 32:7-8), but has no suitable explanation from a purely naturalistic perspective. Although people in the ancient Near East were accustomed to a plethora of deities, they understood the concept of a single god very early. Looking back at Egyptian history, there was a time when Egypt had something like monotheism during the reign of pharaoh Akhenaten (1350-1334 B.C.). The “heretic pharaoh” adopted the worship of the Aten (the Sun disc) as the sole god of Egypt, and went so far as to chisel off the plural word “gods” (ntrw) from monuments. This Egyptian version of monotheism dates back to the 14th century B.C., close to the time of Moses. The Hymn to the Aten, composed by Akhenaten himself, praises the Aten with language that sounds remarkably reminiscent of Psalm 104. Another important consideration is that monotheism existed—conceptually, at least—in some of the oldest Egyptian sources. For example, in the Egyptian creation stories, the Egyptians believed there was a time in which only the primordial god Amun existed. Although Amun went on to create other gods in the Egyptian myths, the concept of monotheism existed early in Egyptian thought. The assertion of the documentary that monotheism was strictly a late Jewish invention is untrue. The Bible’s Buried Secrets handles some of the archaeological evidence competently, but viewers on both sides will be frustrated by the program’s even-handedness. Believers will find that the program upholds the belief that David and Solomon really lived. Believers will be frustrated by the denial of Mosaic authorship and the inspiration of Scripture. Critics will celebrate the program’s treatment of Genesis as myth, but lament the discovery of hard evidence that demonstrates the historical accuracy of the Old Testament. An important consideration excluded from the program—necessary because it does not fall under the purview of archaeology—is the literary evidence from the Old Testament itself. Historical and archaeological evidence will never converge on all points, so there is a degree of caution that must be exercised when handling these sources. Historical texts from any age of human civilization mention a great deal that will be undetectable in the archaeological record, so the historian must use good sense in evaluating the truth claims of his sources. To this effect, one must ask two important questions: Does the story fit available data? And is the story internally consistent? The heavy influence of Egypt on the Bible is undeniable. This would not be the case if the Pentateuch had been written later. During the 10th-6th centuries B.C., when Hebrew scribes allegedly invented much of the fictional history of Israel, Egypt was the sick man of the ancient Near East, while Mesopotamian empires were on the rise. It is a cultural maxim that lesser civilizations tend to borrow from greater ones. It makes the most sense that if Israelite scribes were inventing a history for the nation, they would have borrowed from Assyria and Babylon rather than from Egypt, whose glory days were far behind her. In examining the primeval history of Genesis 1-11, one notices that the vast majority of the text is written in prose with very little poetry. This feature is in keeping with the Egyptian style, which used poetry very rarely. Mesopotamian literature, on the other hand, is almost exclusively poetic. The same goes for Canaan. The three great Canaanite literary works, the Baal Cycle, the Aqht Epic, and the Legend of Keret are all written in poetic style. It is most likely that Egyptian influence on Hebrew scribal practices—which fits perfectly with the Hebrews’ presence in Egypt as recorded in Scripture—affected the prose style of writing in the book of Genesis. God, therefore, inspired Moses to use the Egyptian style to which Israel was accustomed. More evidence of Egyptian influence throughout the early portions of the Bible might be cited. Hoffmeier (1996, pp. 83-84) has compiled a body of evidence arguing strongly in favor of many recorded events, including such minute textual details as the correct price of 20 shekels for a slave in the early second millennium (cf. Genesis 37:28), the lack of mention of Pharaoh’s personal name (consistent with Egyptian custom of refusing to name one’s enemies [p. 109]), and Moses’ request for a religious holiday in Exodus 5:1, which is attested in Egyptian sources (p. 115). The conquest of Joshua 1-11 is written in the “daybook style” that pharaohs (notably Thutmose III) used to record the details of their military campaigns (Hoffmeier, 1994, pp. 165-179). These details, especially those that are time-sensitive, argue sufficiently for an early date of composition for the Pentateuch. Many have pointed out that it would be odd for the Jews to have created a fictional history in which they emerge from such ignominious origins. Moses, Hur, and Phinehas all have Egyptian names, and Aaron and Miriam may as well. Much of the priestly material has distinct Egyptian parallels, with the tabernacle bearing an unmistakably Egyptian design (Kitchen, 2000, 16:14-21; cf. Homan, 2000, 16:22-33). While it is clear that the design of the tabernacle came from God’s instructions to Moses (Exodus 26), it does so in a way that is familiar to the experiences of a people living in Egypt during the late second millennium B.C. (and thus would be unfamiliar to peoples in other locations and times, disproving the argument that later authors invented the stories). These facts evoke several questions: If the Israelites were really Canaanites, why the sharp break between the two in terms of culture, literary traditions, and religious ideas? Why does the Bible demonstrate such familiarity with Egyptian culture, especially if the Pentateuch was supposedly written at a time when the Assyrian and Babylonian Empires, not Egypt, dominated the ancient Near East? Arguments against the Bible usually generate many more problems than they are able to solve. The fact is, the archaeological evidence corroborates the historicity of the biblical text. The Documentary Hypothesis is a theory to explain the many repetitions, inconsistencies, and anachronisms in the first five books of the Bible. In its classic form, it says that underlying the Bible are several different ancient documents or sources, which biblical writers and editors combined at various stages into the Torah as we have it today (as quoted in Glassman, 2007). The Documentary Hypothesis is still the most common view in scholarship, and no other model has a comparable consensus, but in the end the question is not a matter of consensus anyway. It is a matter of evidence. And the evidence for the hypothesis is, in my judgment, now substantial and stronger than ever (2008). Friedman rightly argues that fact is not a matter of opinion, but of evidence. But is his evaluation of the evidence correct? The Documentary Hypothesis, also known as the JEDP theory, states that there are four main documents of which the Pentateuch is composed, along with centuries of scribal additions and subtractions. Until the 17th century, the Mosaic authorship of the Pentateuch was unchallenged. In his 1753 book Conjectures sur la Genèse, Jean Astruc (1684-1766) first proposed that the use of different names for God revealed different documents beneath the text. He did not deny that Moses wrote the Pentateuch, but merely stated that Moses edited several preexistent documents together. Over the next three centuries, scholarship became increasingly skeptical that Moses could have authored the material, pointing to such texts as Deuteronomy 34, which was written after Moses’ death. Concerning the Documentary Hypothesis, The Bible’s Buried Secrets once again departs from the archaeological evidence. It delves into an examination of the text itself, while making selective use of literary evidence. If the Pentateuch reached its final form in the 6th century B.C., with substantial updating along the way, one would expect it to include updated language. In the 10th-6th centuries, Aramaic was the lingua franca of the Near East. Since such was the case, one would expect a heavy Aramaic influence on the Bible; yet, the Aramaic portions of the Old Testament are infrequent. Furthermore, the Old Testament has virtually no Persian influence, even though Persia dominated Judean culture at the time critics claim the Old Testament was still reaching its final form. While the program states Israel remained ethnically distinct, we find numerous Egyptian loanwords in the early books of the Bible when Egypt was dominant, and Akkadian loanwords are found in the historical books when Mesopotamian empires ruled the Near East. The Bible shows a small measure of linguistic influence from powerful foreign nations, so it is inexplicable that, immersed as they were in Persian culture during the Exile, the Jews would fail to reflect Persian loanwords in the biblical text. According to The Bible’s Buried Secrets, the Documentary Hypothesis accounts for supposed repetitions and contradictions that are found in the Pentateuch. There is actually a much simpler explanation. Scribes in the ancient world frequently told stories from different perspectives. For instance, the charge of two creation stories in Genesis (1:1-2:4a and 2:4b-25) is readily explained by the fact that the first covers the events from a cosmic-centered perspective, while the second covers many of the same events from an anthropocentric perspective (cf. Lyons, 2002). As for the alleged repetitions, scribes also told stories in similar ways. The three cases of a patriarch passing his wife off as a sister (Abraham in Genesis 12 and 20; Isaac in Genesis 26) are deliberately crafted in such a way as to call the reader’s attention to all three instances. It is in keeping with the Bible’s presentation of its characters “warts and all” by showing the humanity of the “father of the faithful” as being somewhat faithless on, not one, but two occasions. The JEDP theory runs into another problem. Scribal practice in the ancient Near East was to copy documents with utter fidelity. 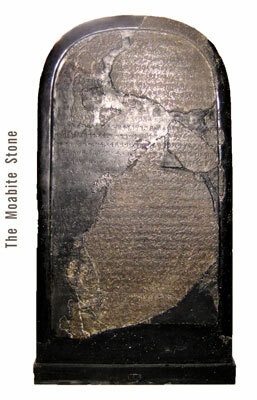 An artifact that illustrates the scribes’ practice of copying canonical religious works with precision is the Shabaqo Stone. Named for the Egyptian pharaoh Shabaqo, it contains one version of the Egyptian creation myth. The text on the stone has a number of blank spaces (called lacunae) throughout the text. At the beginning of the inscription, the scribe who copied it says the pharaoh found a scroll “as something that the predecessors had made, worm-eaten and unknown from beginning to end” (Allen, 2000, 1:22). It is clear that the blank spaces of the text were deteriorated portions of the scroll. One immediately notices that there was no attempt to edit the document or fill in the blank spaces with additional material. Even if it meant copying blank spaces, the scribe was intent upon copying it exactly as he saw it. The Hebrew scribes are frequently charged with editing several documents together, weaving them together into what we know as the Pentateuch. Analysis of the language is not friendly to this viewpoint. Scholar Richard Hess cites a number of studies of the Pentateuch in the last two decades that have dramatically undermined JEDP, ranging from computer analysis of the language to careful scrutiny of supposed duplications within the text (2007, pp. 49-59). Converging lines of evidence are making it increasingly untenable as a theory to explain the origins of the Pentateuch. Even so, the proponents of the theory are as tenacious as ever. The question of the Bible’s reliability is one that directly impacts the life and faith of every Christian. It is difficult to see putting one’s trust in a book that fraudulently claims to be the Word of God. On the other hand, it is equally foolish to refuse to accept the Bible if it bears the marks of authenticity. The Bible’s Buried Secrets does not attempt to prove whether the Bible is true, or delve into its claims to be divine revelation from God. Rather, its concern is to fit the biblical stories into their historical and archaeological context. It asks why and when the biblical authors wrote what they did. Yet the truth claims of the Bible are inescapable, and the consequences of accepting or rejecting them as the very Word of God are monumental. Television documentaries of dubious value frequently guide the viewer along a predetermined path of evidence to arrive at a conclusion that is usually controversial. In this journey, viewers are not presented with other points of view or evidence for other sides of the debate. There is a minimum of intellectual cattle prodding in The Bible’s Buried Secrets, although it may be helpful to point out two key problems. First, the claims of the program are presented as hard science. This is true to an extent. All sciences require some level of interpretation, and archaeology requires more than most. The interpreter’s bias and assumptions can play a rather large role in the analysis of the information, which includes synthesizing massive amounts of data and requires dozens of specializations. Since archaeology involves degrees of subjectivity and ambiguity, it is impossible to claim that it proves the Bible to be the inspired Word of God (though archaeology can confirm and verify the Bible’s historical accuracy). The viewer is left with the impression that science can disprove that the Bible is God’s Word, which is equally impossible. The documentary also limits itself to the intersection between science and Scripture, which means great quantities of other valuable data are omitted. The exclusion of portions of the full body of evidence impacts the conclusions drawn by the program. None of the program’s tenets is uncontested in scholarly circles, and many of the interviewees are decidedly left-wing. There are few, if any, conservative scholars interviewed, and it is not for a lack of believers involved in Near Eastern archaeology. While scholars on the extreme left get little time, believers get virtually none at all. In one interview, Bill Dever said, “It’s a waste of time to argue with fundamentalists, and this film doesn’t do it. It’s designed for intelligent people who are willing to change their mind.” Open-mindedness is an important virtue, but if Christians are to change their minds about the historicity of the events recorded in the Hebrew Bible, a better case, supported by adequate evidence, would have to be made than the one presented in The Bible’s Buried Secrets. Allen, James P., trans. (2000), “From the Memphite Theology,” in The Context of Scripture, ed. William W. Hallo and K. Lawson Younger (Leiden: Brill). Dever, William (2003), Who Were the Early Israelites and Where Did They Come From? (Grand Rapids: Eerdmans). Freedman, David and Jeffrey C. Geoghegan (1995), “‘House of David’ is There!” Biblical Archaeology Review, 21:02, March/April. Friedman, Richard E. (2008), “Who Wrote the Flood Story?” NOVA: The Bible’s Buried Secrets, [On-line], URL: http://www.pbs.org/wgbh/nova/bible/flood.html. Glassman, Gary (2007), “Writers of the Bible,” NOVA: The Bible’s Buried Secrets, [On-line], URL: http://www.pbs.org/wgbh/nova/bible/coogan.html. Hess, Richard (2007), Israelite Religions: An Archaeological and Biblical Survey (Grand Rapids: Baker Academic). Hoffmeier, James K. (1994), “The Structure of Joshua 1-11 and the Annals of Thutmose III,” in Faith, Tradition, and History: Old Testament Historiography in its Near Eastern Context, ed. Alan R. Millard, James K. Hoffmeier, and David W. Baker (Winona Lake, IN: Eisenbrauns). Hoffmeier, James K., trans. (2000), “The (Israel) Stele of Merneptah,” in The Context of Scripture, ed. William W. Hallo and K. Lawson Younger (Leiden: Brill). Homan, Michael (2000), “The Divine Warrior in His Tent: A Military Model for Yahweh’s Tabernacle,” Bible Review, 16:22-33, December. acle: Pure Fiction or Plausible Account?” Bible Review, 16:14-21, December. Kitchen, Kenneth (2003), On the Reliability of the Old Testament (Grand Rapids: Eerdmans). Lyons, Eric (2002), “Did God Create Animals or Man First?” [On-line], URL: http://www.apologeticspress.org/articles/513. Millard, Alan R., trans. (2000), “The Tel Dan Stele,” in The Context of Scripture, ed. William W. Hallo and K. Lawson Younger (Leiden: Brill). Millard, Alan R. (2008), “Were the Israelites Really Canaanites?” in Israel: Ancient Kingdom or Late Invention? ed. Daniel I. Block (Nashville, TN: B&H Publishing Group). NOVA: The Bible’s Buried Secrets (2008), [On-line], URL: http://www.pbs.org/wgbh/nova/bible/. “A Q&A With Paula S. Apsell, Senior Executive Producer of NOVA” (2008), NOVA: The Bible’s Buried Secrets, [On-line], URL: http://www.pbs.org/wgbh/nova/bible/apsell.html. Younger, K. Lawson, trans. (2000), “Black Obelisk,” in The Context of Scripture, ed. William W. Hallo and K. Lawson Younger (Leiden: Brill).